The FCST08113 handheld optical power meter is the latest test instrument that can be used for absolute optical power measurement as well as loss relative measurement of fiber optics. 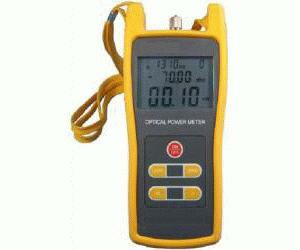 It features a wide range of precise and accurate power measurements, and a self calibration function. The FCST08113 meets the high demand of users working with large quantities of fiber optics.